We are the only scrap gold buyers and refiners you will ever need! A Buyer For Your Scrap Gold Jewelry is a division of Midwest Refineries LLC. 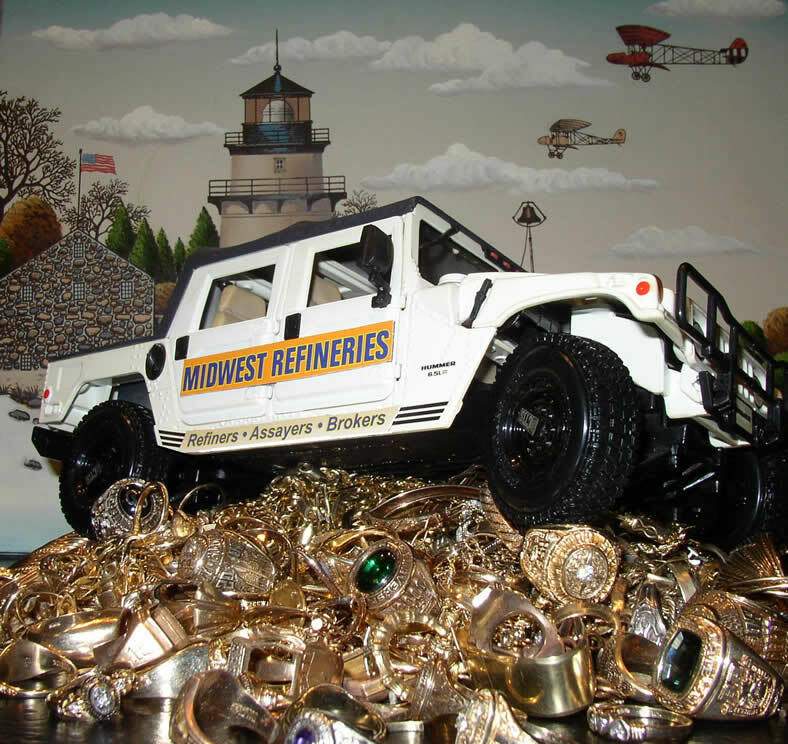 Midwest Refineries is a family owned and operated business since 1939 and enjoys a reputation of integrity and accurate gold recovery within the jewelry industry. Scrap gold in all forms from jewelers, goldsmiths and the general public, is quickly and accurately processed to recover the most gold and the highest settlements to you. Midwest Refineries has no minimum amounts on gold scrap jewelry, plus you can ship with no refining charges or other fees usually charged by most refiners and buyers. 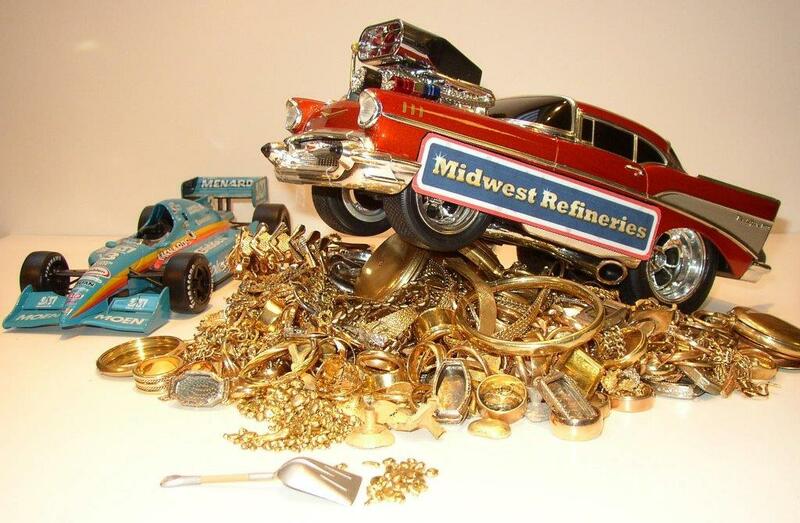 Midwest Refineries is the only gold scrap refiner and buyer you will ever need. All karat gold jewelry like rings, charms, bracelets, chain, pendants, watches, dental gold crowns, inlays, bridges, dental lab scrap, gold coins and bars, jewelers and goldsmiths bench sweeps, gold casting splatter, buffing and polishing rouge and dust, excess gold jewelry inventory, unwanted or broken gold jewelry, gold nuggets, gold wire and sizing stock, gold solutions and concentrates, gold filings clippings and shavings, all precious metals containing gold, silver and platinum. Smelters and refiners that claim to pay 98% or 99% for your precious metals also charge refining fees, assay fees, treatment charges, brokering fees, inbound troy ounce weight fees, handling fees and other fees. Nobody can operate a business on 1% or 2%. Midwest Refineries has NO fees or charges period! We pay 95% of the value of your gold items and materials. You receive the gold market price on the day your order is completed. There are NO ADDITIONAL CHARGES OR FEES. Let us prove to you how easy we can make you a satisfied customer. We want your business, not just once, but continuously. Repeat customers are the reason we have remained in business for so many years. We hope you will become one of our satisfied customers selling your gold to us. It is in your best interest to package up your material in a sturdy container or box that will withstand any damage while being shipped to us. Strong tape is recommended to properly seal your shipment. Ship registered insured if you desire via the U.S. Post Office, U.P.S., Fed ex, or any shipper you choose. Be sure to include all of your contact information including name, address, phone and e-mail address if you have one. List the items you are sending and the nature of your gold material if known.